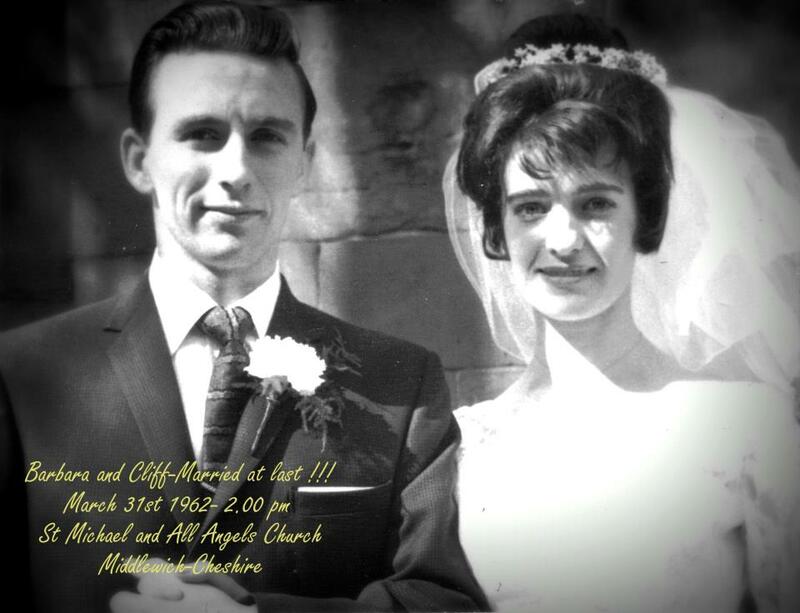 Our congratulations to Barbara and Cliff Astles who celebrate their Golden Wedding Anniversary today! 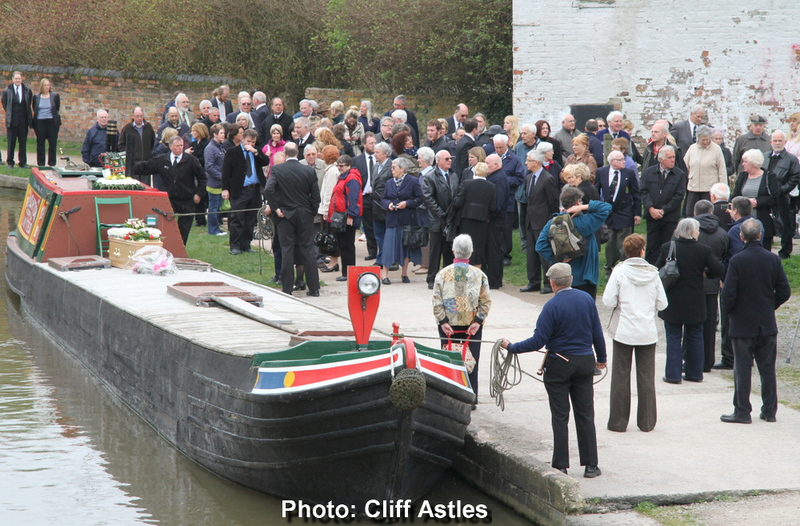 This picture by Cliff Astles shows the Thomas Clayton narrowboat Tay as it takes Maureen Shaw down the Trent & Mersey Canal for the last time on Friday 30th March 2012. The boat has just left the third and lowest lock in the Brooks Lane Flight. The route, from St Ann's Road bridge on the SUC Middlewich Branch, through Wardle Lock and then down the T&M to Middlewich Town Wharf was thronged with people, all wanting to pay tribute to the lady known to one and all as 'Auntie Maureen'. At the Town Wharf the coffin was transferred from the boat to a hearse for the final part of the journey to St Michael & All Angels Church, where the service took place at 11am. 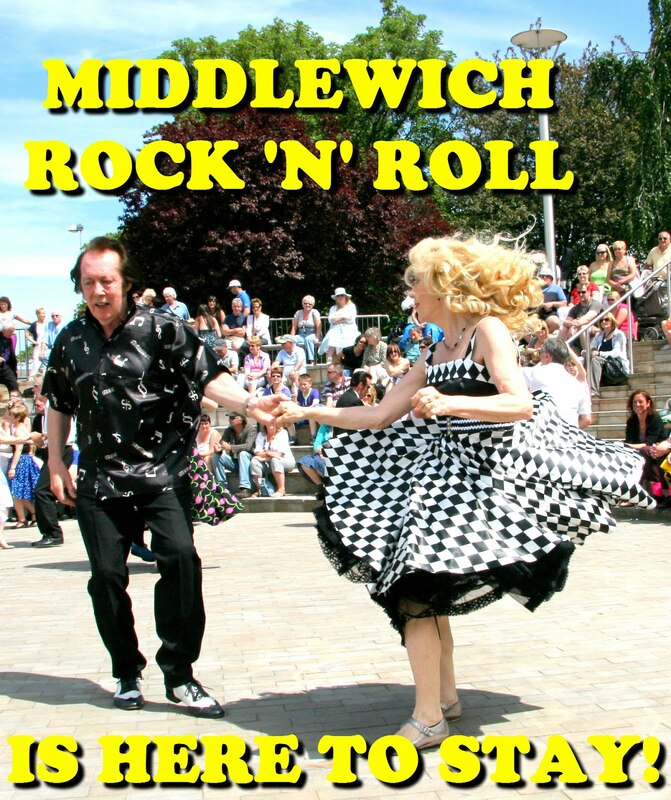 Many thanks to Cliff for permission to use these photographs. ...as seen in this diary entry, to see that not a lot changed in this area in that thirteen years. Southway proper - i.e. 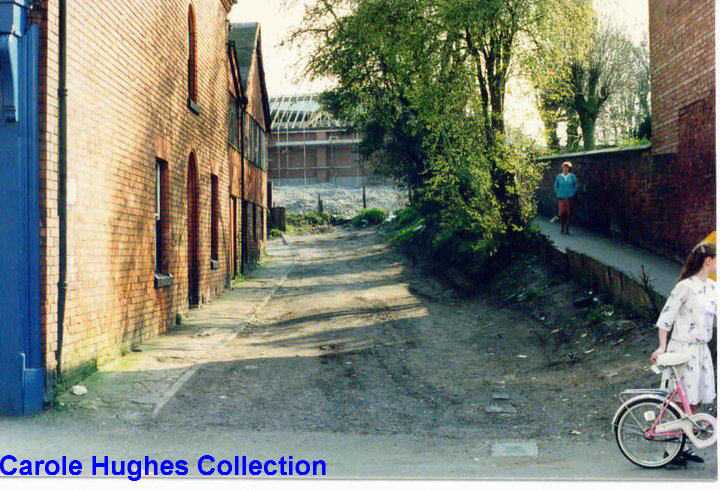 the footpath seen on the right hand side of this picture - still provided a shortcut into town for people in the St Ann's Road area, and the 'dirt track' with a rudimentary pavement to the left which we now think of as 'Southway', and was used mostly for car parking in those days, also remained untouched. That strange red lead painted building we encountered here is also still standing at the rear of the shop on the corner. 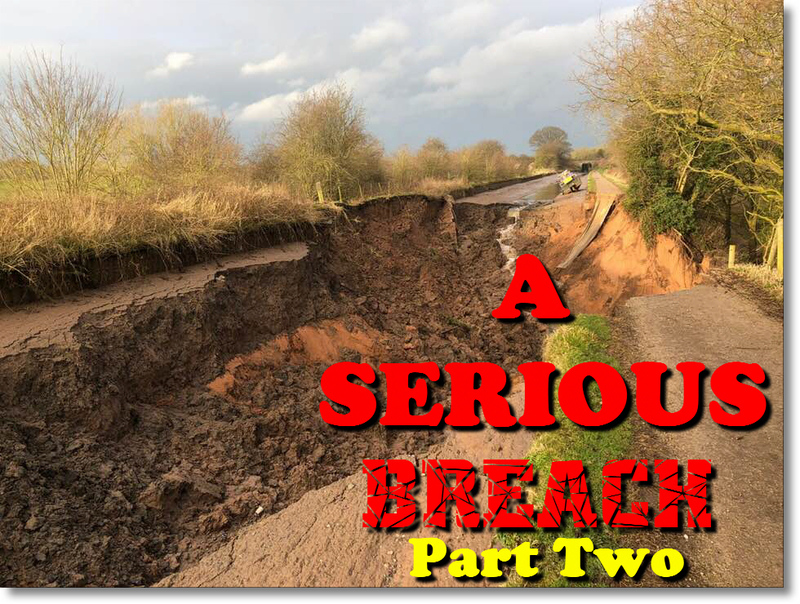 It's only when you look at the middle of the picture, and at what's happening at the end of that 'dirt track', that you realise just what is going on. We're seeing the very start of Middlewich's slow-burning shopping revolution with the building of the Gateway Supermarket on the field where the Orchard Works had stood until a few years before. The temporary fence, just to the left of the trees, which separates the building site from what will become the supermarket's pedestrian approach is the approximate site of that 'pagoda' structure which welcomed shoppers walking towards the supermarket from Wheelock Street first to Gateway, then (from 1994) to Somerfield and which currently (since 2009) welcomes them to Tesco. As we've said before, it all looks so familiar and yet so different. 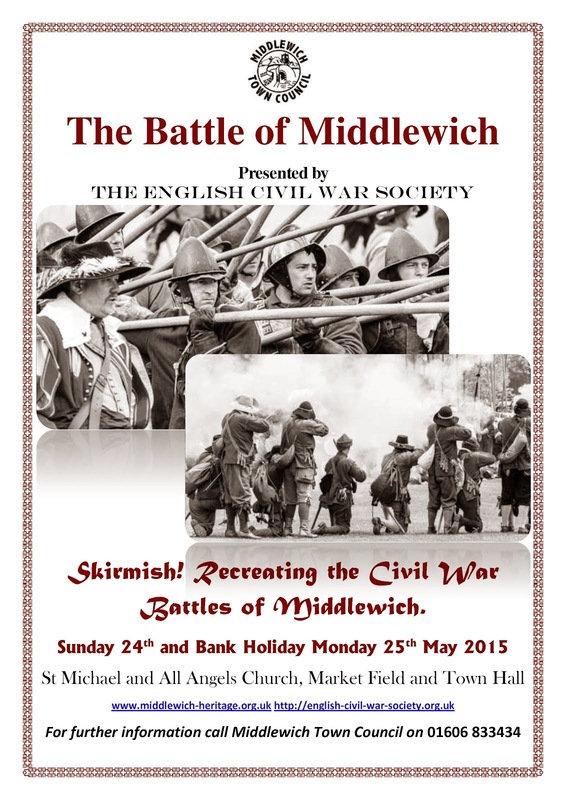 You can learn more about the convoluted history of Middlewich's first proper supermarket here. 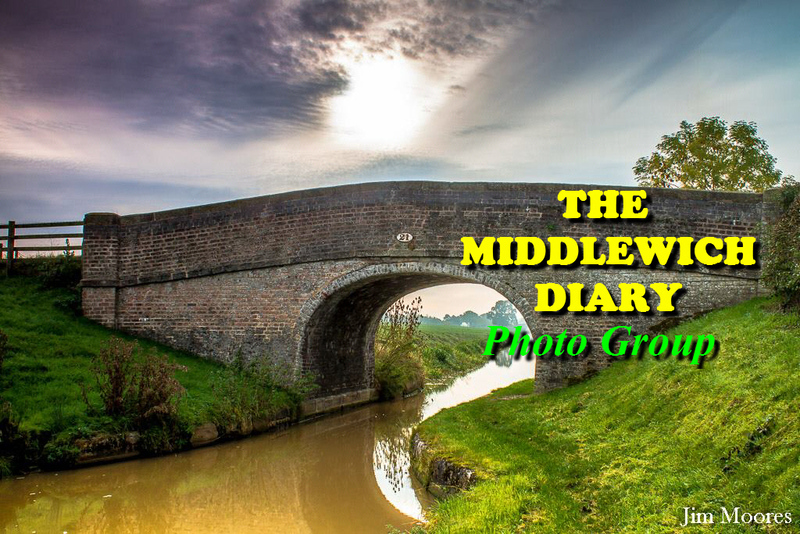 Regular Middlewich Diary contributor Carole Hughes has been given access by her friend Diane Parr to a brilliant collection of photographs showing Middlewich as it was twenty-five years ago. 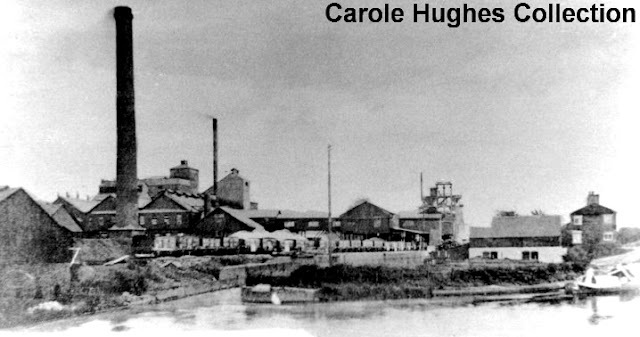 All the photographs are now safely filed in the 'Carole Hughes Collection' and we'll be bringing them to you from time to time during the rest of 2012. Many thanks to Diane and to Carole for letting us show you these photographs. We're starting with this one because, just by coincidence, I was looking the other day at an old MHS Newsletter from September 1992 which was when the building shown here was finally demolished. It started life as one of many Co-op shops in Middlewich and I have dim recollections of it as a dress shop (or, in Co-op parlance, a drapery department). It had a glass display case in its entrance hallway, making it look very sophisticated and cosmopolitan. You could imagine the very best people buying their clothes there. 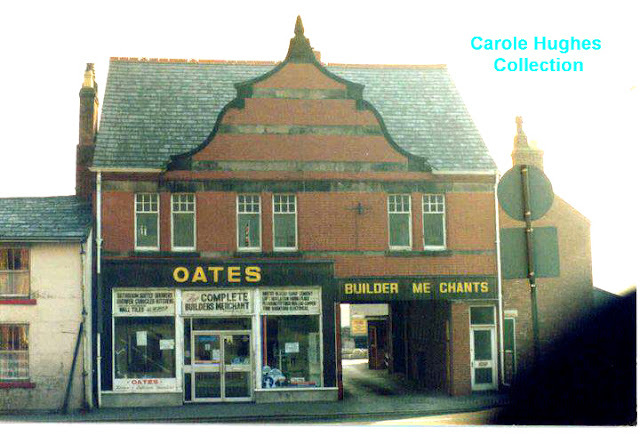 By 1987 it had become Oates Builder's Merchants (or, if the sign is anything to go by, Oates Builder Me chants) and was looking a little the worse for wear. 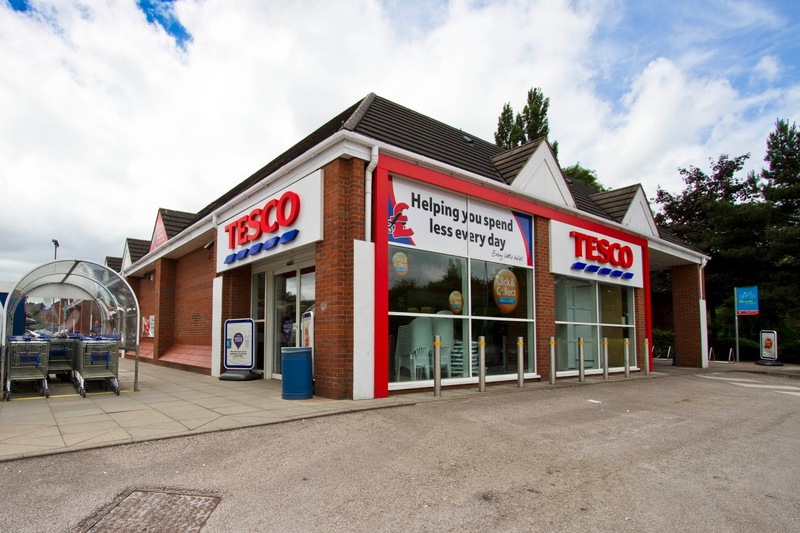 In the early 70s, when I was still working in Middlewich UDC's Rates Office, I applied for a job at at this establishment, at that time called Thomas Eyres Ltd, and was interviewed by somebody who blew cigar smoke at me throughout the interview and I could never have worked with. In those pre-computer days the job involved writing out orders for building materials on printed forms and handing them to this cigar smoking lunatic for processing. Fortunately I wasn't offered the job. 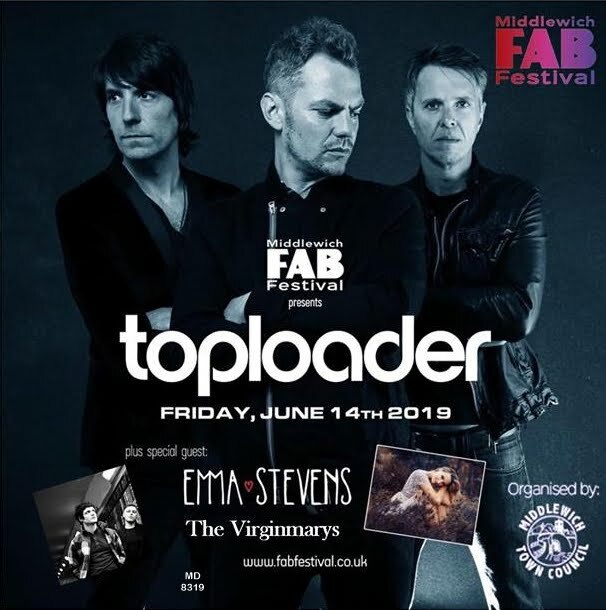 But it's interesting to note that if I had got the job my workplace would have moved a matter of yards across Lewin Street, and I could have gazed down on the windows of the rates office from one of those upstairs windows. By 1992 Thomas Eyres had transmogrified itself into Oates which, in turn, had become Hall & Co. At this point plans were announced to demolish the building 'to improve access'. Demolition begins on the showroom premises of Hall & Co in Lewin Street. There was something of an outcry locally over the destruction of this former Co-op shop, but the Heritage Society raised little objection, rightly concluding that whatever architectural merit the building had ever had had already been destroyed by mutilation of the shop front and the erection of the garish 'Hall & Co' sign which, we will record for posterity, was bright orange and blue. Perhaps whatever replaces this building will actually be an improvement? Of course at the time it never occurred to anyone that the building might be replaced by nothing more than a gateway into the builder's merchant's yard. Just in case you haven't got your bearings precisely, we're standing at the bottom of Civic Way (that's the Council offices on the left of the 1992 photograph). The house to the left of the building still survives, as does that quirky little cottage on its right. my Mother didn't shop there so my only occasional visits were with my Gran on Co-op divi day! Dave Roberts Ah yes! A case of distance lending enchantment to the view (a distance in time in this case). I think they also had one of those change-giving systems running along a wire connected to the cashier's office. Geraldine Williams Yes, I think they did. I wonder if it was because the 'Management' didn't trust the assistants' arithmetic or the obsession in the old days with every transaction having to be written down? 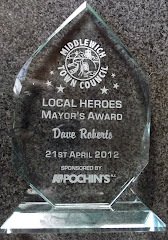 The only alternative was the fantastic Meadow Dairy verbal running total system which we discussed previously. This particular Co-op shop was the town's main drapery shop, selling clothes of all descriptions for both men and women. They did have a spectacular glass entrance to the shop with windows at the front and each side with a glass central piece allowing for access each side of it into the shop. You could buy all types of material and cottons, lace etc. It also had the latest technology with the accounts and tills upstairs! The money tendered for goods was whisked away upstairs by a circular 'vacuum facility' much like a drain pipe and the change was also sent back by the same method. 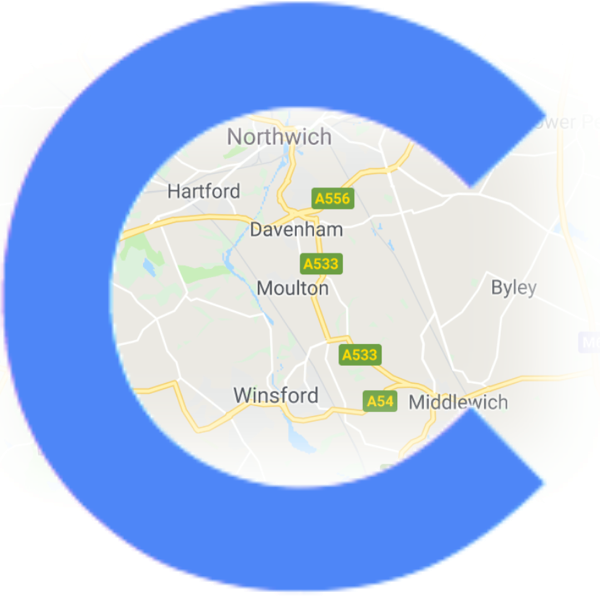 All goods sold in the Middlewich Co-op shops allowed for a 10% dividend to be paid out each year (I think) on the value of goods sold to that person. This dividend was also paid out at this shop. The inside of the shop was very 'Victorian' and if it was still with us today would be a place worth visiting. The shop which is the 'Middlewich Fryer' today was also a Co-op Shop. It was a traditional butcher's shop from which I obtained meat for my mother on a Saturday morning, as she was working all day in her hairdressing business (behind Etta Mault's Chippy). What a waste of a very good shop. Geraldine Williams Thanks for not putting 'Nah, nah, nah, nah, nah Geraldine!' (as if...Ed) Ha ha. As I've said before, for all its altruism, which is not in doubt, there was something insidious about the Co-op movement, which had a finger in every pie, when seen through the eyes of other shopkeepers (like my parents) who were trying to earn a living. 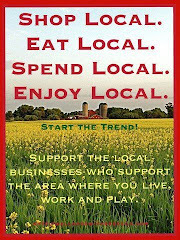 Which is why my family never frequented Co-op stores! 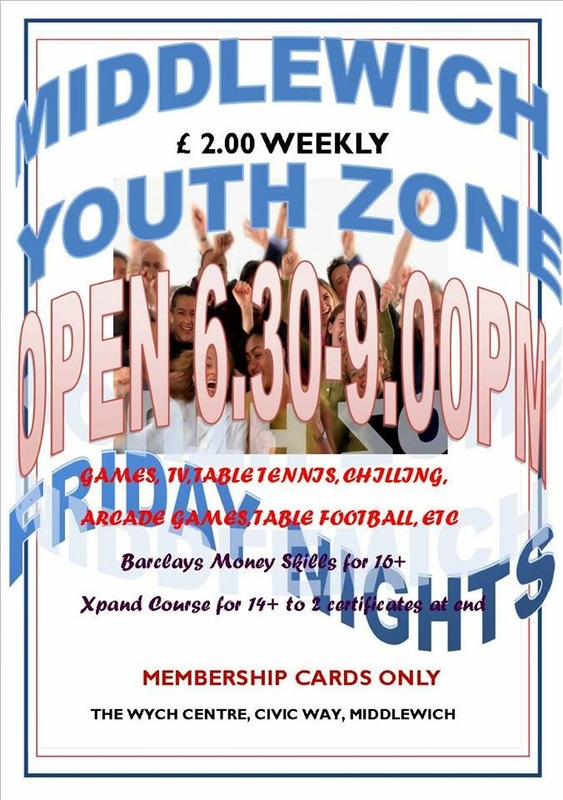 Dave Thompson Happy Days! 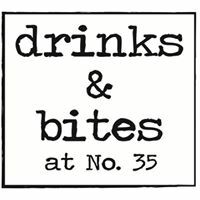 I worked there during school holidays when it was Thomas Eyre's, then full time when it was Oates Builders' Merchants. The front building was a fitted-out showroom with bathroom and kitchen displays - I sold hundreds of Ideal Standard and Twyfords bathrooms from there! 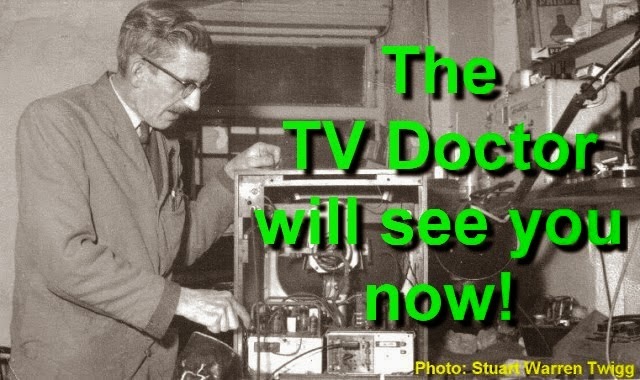 I worked with Phil Flaherty there for about ten years, until I went back to ERF for more money - which lasted 14 months! Hi Dave. Maureen's funeral is at 11.00 next Friday (30th March) at St Michael's. I have just called Pete Forshaw. 11.00 is the start of the service and before that she will come down the canal on a boat from HER lock. 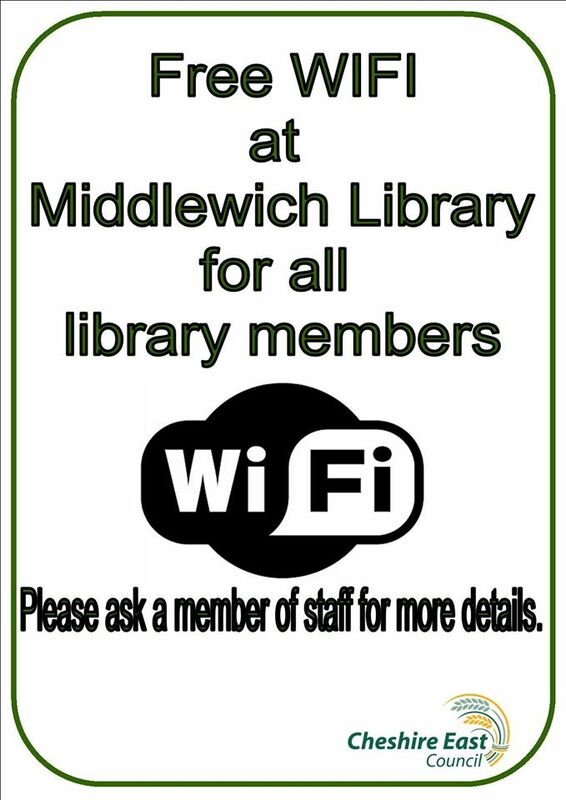 You may wish to post this on the Middlewich Diary, as I have been asked by loads of people. 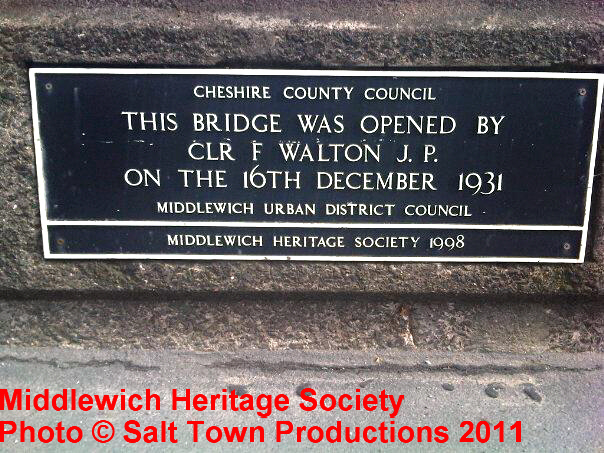 I hope they will erect a plaque at the lock afterwards. Ian. 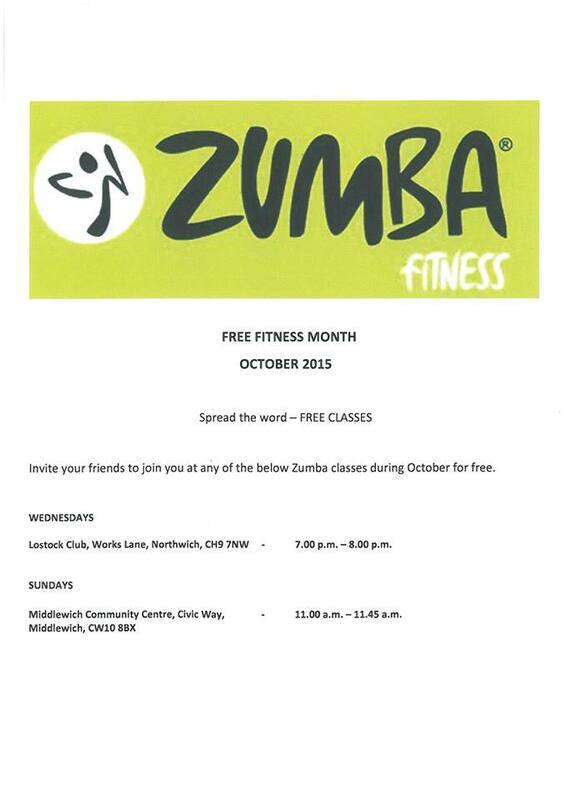 Many thanks to Ian for the information. 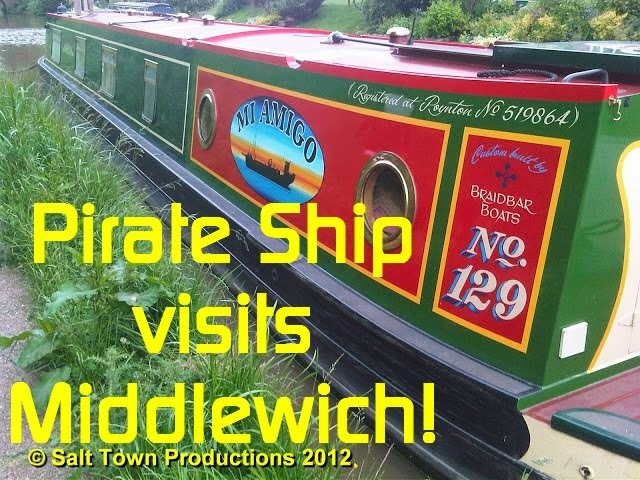 We assume that the boat will leave Wardle Lock at around 10am (can anyone confirm this for us?) and the coffin will be taken to the church from the Town Wharf. Here's a picture from the Paul Hough Collection of the celebrated 'Butcher Lee's' shop in the Bullring, Middlewich - an establishment we last caught a glimpse of here. This is, of course, a posed shot with the staff of the shop obviously proud to be photographed alongside their fine array of animal carcases. That ornamental gas lamp which appeared to be sufficient to light the entire area is not included in the photograph, but part of its base can just be seen on the the extreme left. Messrs Curzon and Hurley feature this photo on page 103 of their book Middlewich (Images of England, Tempus Publishing 2005) and suggest that the ponies and traps in the picture may have been there to collect meat for one of the large houses in the town, which may well be so. The caption for this picture as printed in the book in question suggests that the road to the left is Kinderton Street, but surely it would be Lower Street, even in those days. Kinderton Street has always started on the Holmes Chapel side of the Town Bridge. 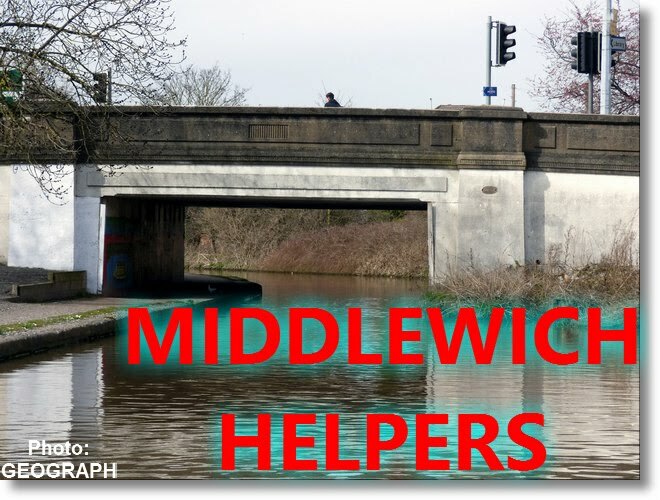 Something that never seems to be mentioned in connection with this well known Middlewich scene is that the left hand side of the building we're looking at is not actually part of 'Butcher Lees' but an entirely separate business which appears to be called the CENTRAL HARDWARE STORES. As we mentioned when looking at Kath & Barry's fascinating old photo of the Bullring (link above) this building later became a bank before being demolished in the 1930s, together with the shop behind it, to make way for the railed area which was the first site for the town's war memorial (although it would appear that the actual site of Butcher Lees shop became an improved access road from Lower Street to Hightown). 'Butcher Lees' would be just behind the car on the left. A slightly blurry shot of the former Middlewich station yard in 1989. 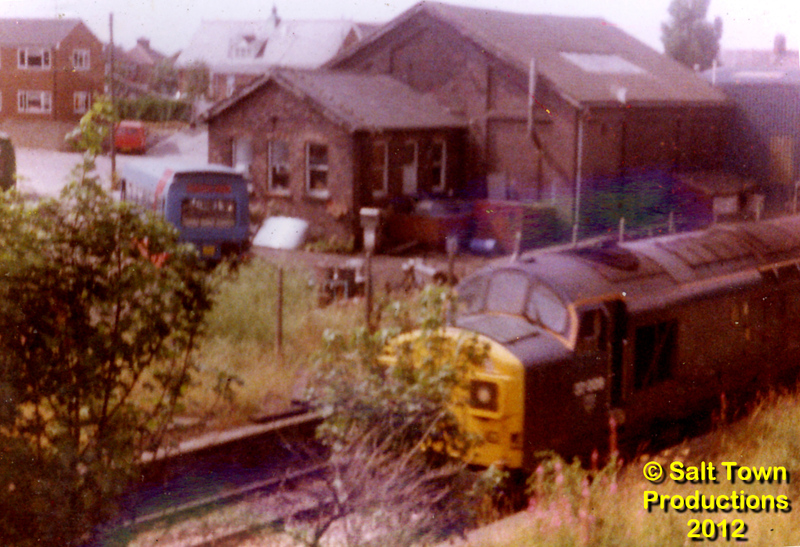 The object of the exercise was to get a picture of that diesel loco which is trying to sneak by in the foreground. By this date trains on the Middlewich Branch were getting rarer - during the sixties and seventies the line was very busy with freight, in particular with oil trains travelling from Stoke-on-Trent to Sandbach, via the Middlewich line to Northwich , then from Mouldsworth on the Mid-Cheshire line to Helsby and thence to Ellesmere Port. 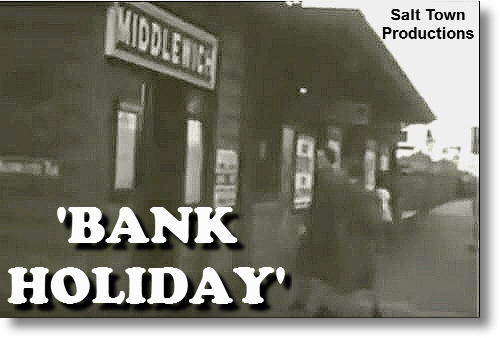 We've entitled the picture 'Middlewich Station' but in fact the actual station building had disappeared by this date. As can be seen in earlier Diary entries (see below) it was a single-storey wooden building much like many other buildings on London & North-Western stations. In our picture a modest fence separates the railway from the site of its former station, and a row of tall poplar trees has now grown up along the same line. This is the Northwich-bound platform. The now-vanished station building's counterpart on the opposite, Crewe-bound, platform was razed to the ground during the 1960s by workmen burning grass on the adjacent embankment. As we have seen in those previous Diary entries by this time Martin's was well entrenched on the station site and using the old goods shed and attached office as part of their business, which gradually moved from Bus and Coach sales to MOT Testing of commercial vehicles, a service the company still continues to offer not far away in Brooks Lane. 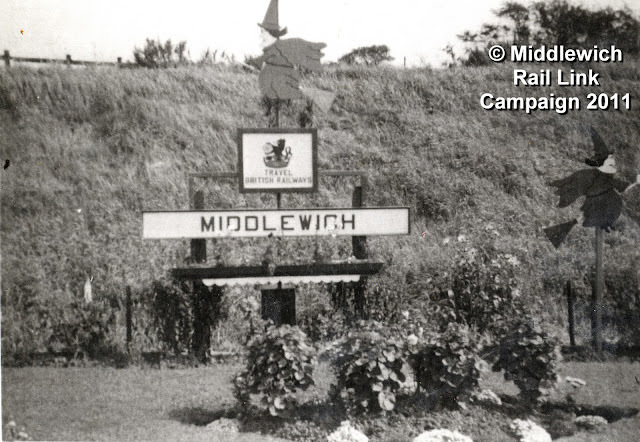 SEE ALSO MIDDLEWICH STATION EARLY 1990s and follow the links to various other pictures of the station and its surroundings over the years. Today we're looking at two versions of another of those classic Middlewich Views - High Town, as seen from the end of Lewin Street in the early part of the last century. 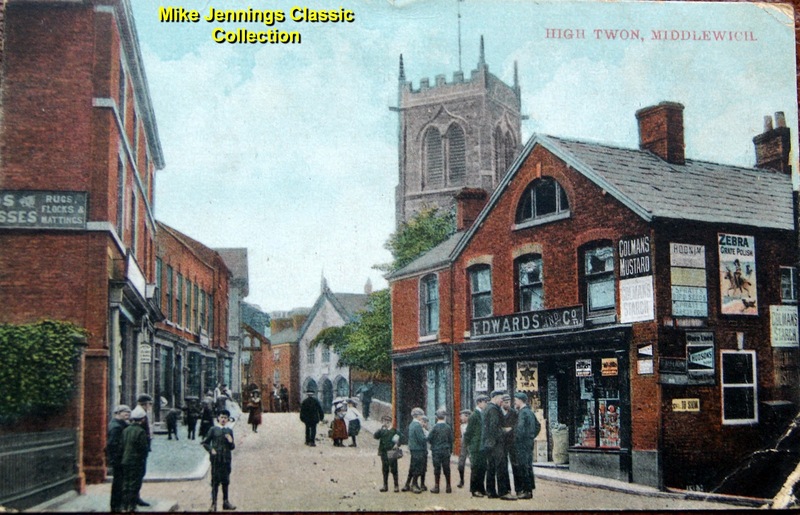 From the invaluable Paul Hough Collection comes this well known black and white postcard showing, on the right, the shops which once stood in front of the church yard and the old Town Hall (then comparatively new) in the centre of the picture, with adjacent shops running down to the Bull Ring. On the other side of the road the half-timbered roof of what is now the Accord Clinic can just be glimpsed together with a thin sliver of the Kings Arms Hotel and the shops opposite, at the bottom of Queen Street (there were a few more in those days, and Queen Street was a lot narrower than it is today). 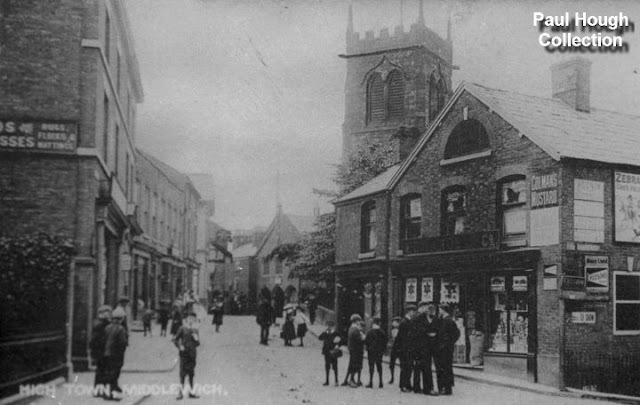 Most of the shops running towards the camera on the left-hand side still survive in one form or another, including Middlewich Carpets and Flooring. There are quite a few Middlewichians in this postcard, including several children but, on this occasion, only a couple of them are taking any notice of the camera. 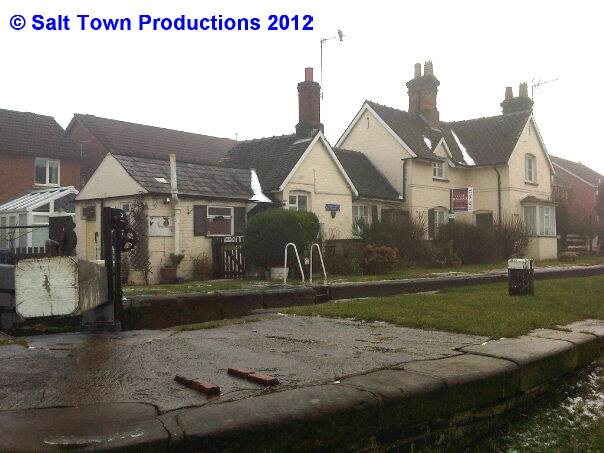 Middlewich, as seen in this view, looks a little shabby and down at heel, although part of this effect may come from the fact that the picture has been copied and re-copied over the years. 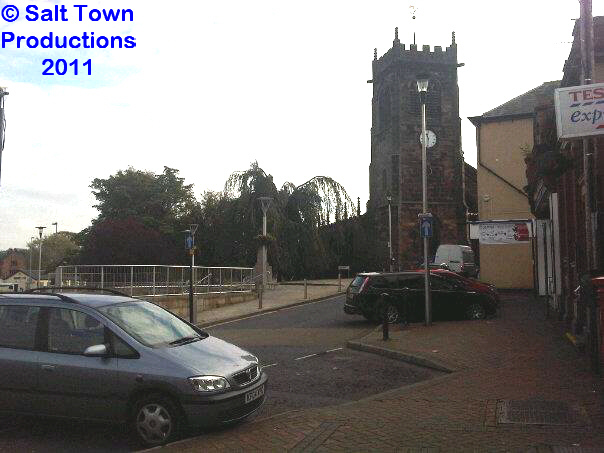 There is some evidence of re-touching, particularly on the Church tower. Here the prospects are altogether brighter and more pleasing. Edwards shop (and we wouldn't be at all surprised if it called itself an 'emporium'), is resplendent in its covering of advertisements which are probably, like most things here, much brighter in the postcard than they were in real life. 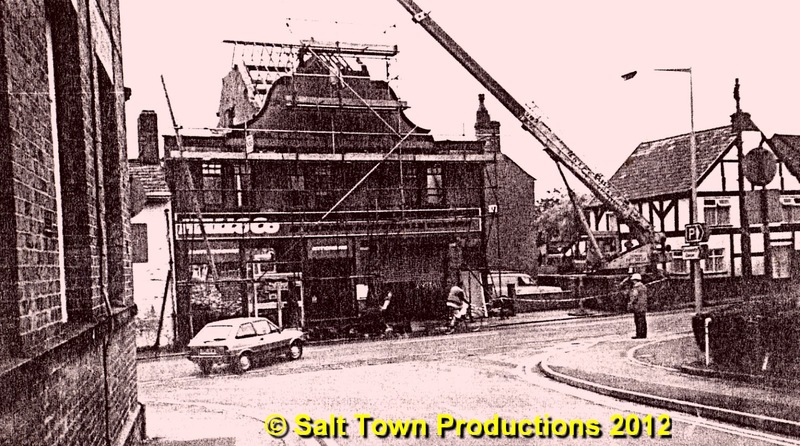 We can also see a little more of the shop than in the black and white version, which has been cropped slightly at some stage in its career. The re-toucher has been at work on the Church Tower, giving it a little more detail and has made free with the red brick frontage of the Town Hall making it look more like a stone building. There are welcome splashes of green here and there. Above it all is one of those beautiful blue skies which have always been a Middlewich feature (when they could be seen through the smoke from all those chimneys). 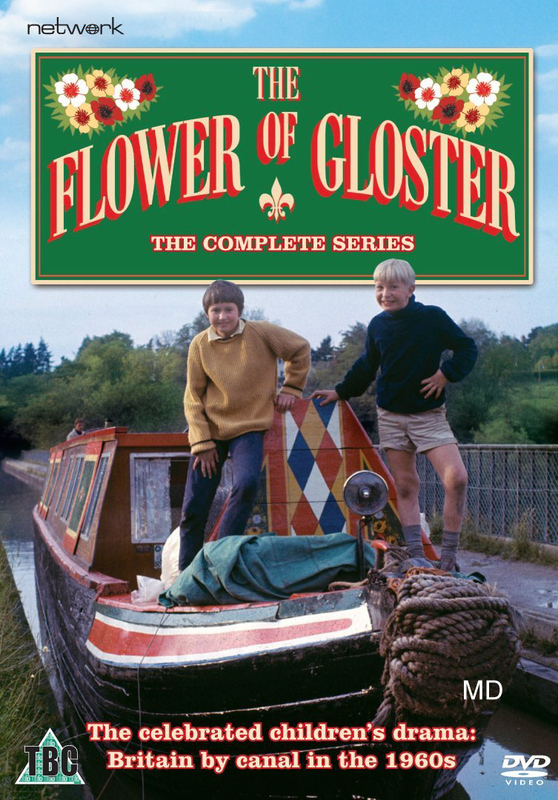 Obviously, a lot of time and trouble went into colouring this picture, which makes it all the more remarkable that the glaring typographical error in the title was left uncorrected. When we looked at this subject in February after receiving several photos of the town's other 'guard stones' from Mike Jennings, quite a few people pointed out that there was another one at the end of the alleyway which runs between Lewin Street, opposite Dave Costello's angling supplies shop, and Bembridge Drive. 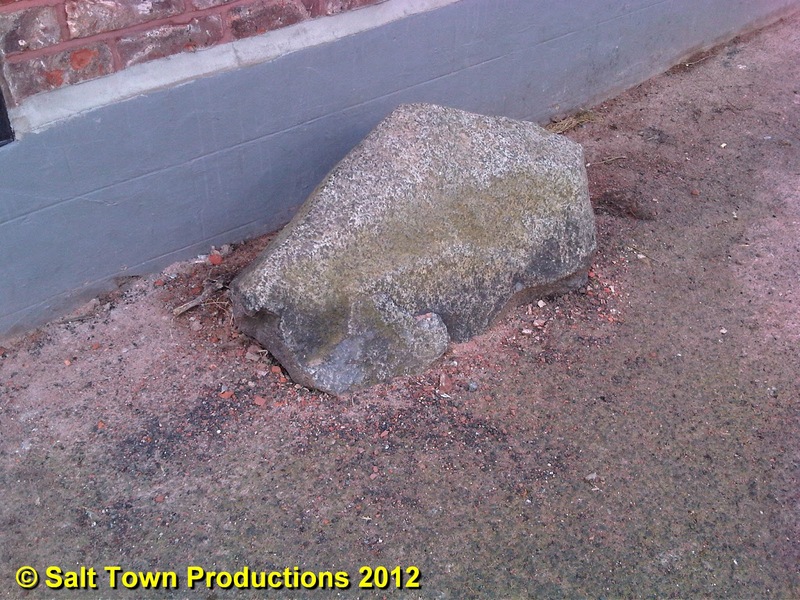 Here's that stone, as seen in March 2012. Its position is a bit of an enigma. Normally guard stones were positioned at the corners of buildings but this one is alongside the end wall of a row of terraced houses. Quite possibly it has been moved over the years - the option of taking it away altogether being ignored either because it would have been too much trouble or, we'd prefer to think, because someone was aware of its history and decided to leave it at least close to where it started out. But what was there down that little entry which generated so much horse-drawn traffic coming and going that it merited a guard stone to protect the wall? Another enigma, that of why the alleyway itself has never been given a name, seems to be answered by our other photograph, taken at the same time. It can be seen that there is nothing in this section of the passageway which could justify it being given a name or a postal address. 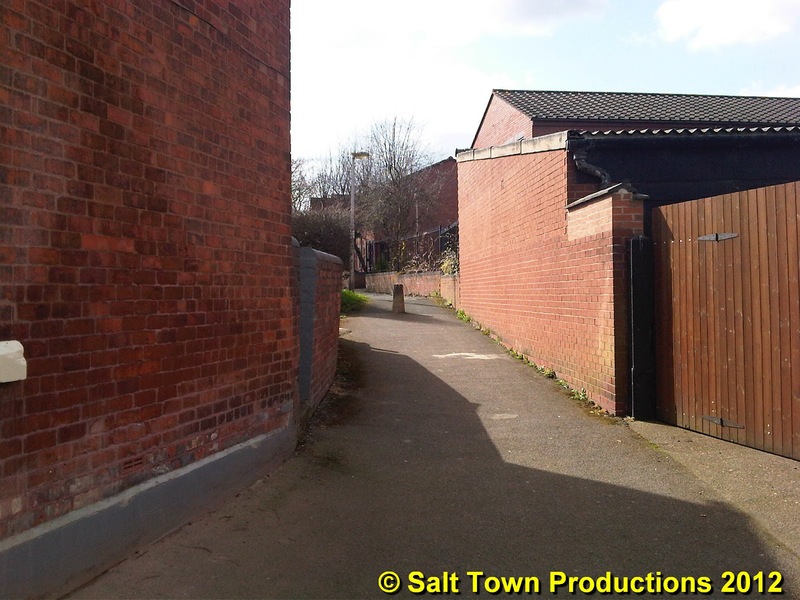 The gate to the right leads to the rear of premises on Lewin Street and the pathway leading off to the left (next to the bollard) also gives access to houses with addresses in Lewin Street. Everything above that bollard can be considered as being in Bembridge Drive. The guard stone we're talking about, by the way, is just out of shot to the left. The stone in question has always been at the same spot since at least the early 1950's, and has probably been there from long before that time.It was at number 68 Lewin Street where I then lived, one door away along Lewin Street. The stone is next to number 66 Lewin Street. Why there ....? My own view is based upon the fact that the Ally Way ( with no name )was in those days NOT an Ally.It was a link from this part of the town ( Lewin Street) to Derbyshires land that was used to grow whole ranges of vegatables and fruit for Middlewich.The land in question was behind Lewin Street, along Sutton Lane to the canal bridge, along the canal to meet with St Annes Road, where the land then went all the way to Derbyshires Old Cottage (I delivered papers to hear via the back door :). Between the cottage and about half way to the St Annes Road / Canal Bridge was Derbyshires wooden work sheds that housed both the work horses and the farming tools for the fields etc.My great Uncle John used to look after the horses and work the fields with them when I was a boy. Half the land was used for fruit (many knds of apples / pears etc) and the other half was used for vegetables. Getting back to the pathway from Lewin Street to the land. The gateway ( 5 bared gate in wood, near to where you can now see the hedge) would have been extensively used to both access the land to take away goods by horse and trailer, and also for access to place the "soil" from the outside toilets in much use in Middlewich in those days, on the land the make it grow food stuffs quite well :(.Therefore, I think the stone was placed there very early in the life of Middlewich to ensure that number 66 Lewin Street was not subject to the cart wheels hitting the walls of the house. Additionally, the other side of the Ally, now used as an accountancy shop on Lewin Street was a traditional butcher shop ( DRIVERS ? )and behind the shop where some out-house now stand, was the shops Slaughter House. ( Cows / Pigs etc) and I was always awakened on a Sunday morning by the sound of the sloughtermans gun, with the noise from the animals awaiting their turn :(.Well before big the British Legion was built, at the time of their first Army Hut, there were some very old houses behind the current building that formed part of an old farm ( whose ?). We used to play in these, the Old Farm Buildings and the land around. 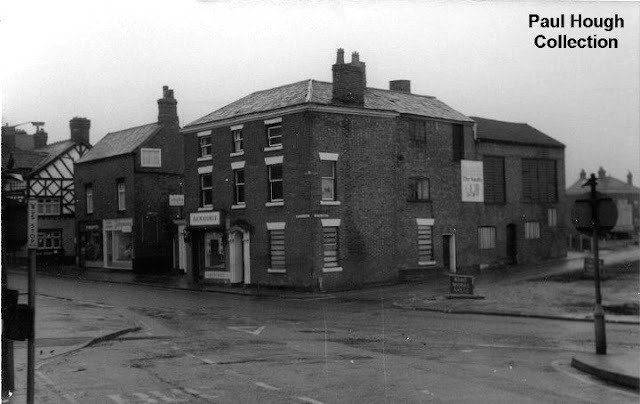 This is where the back of the British legion Club now stands, and where the bolwing green is is where we used to play and DRIVERS the butchers used to bury ( most of the time )all of the old animal bones that were left after they were stripped of their meat. 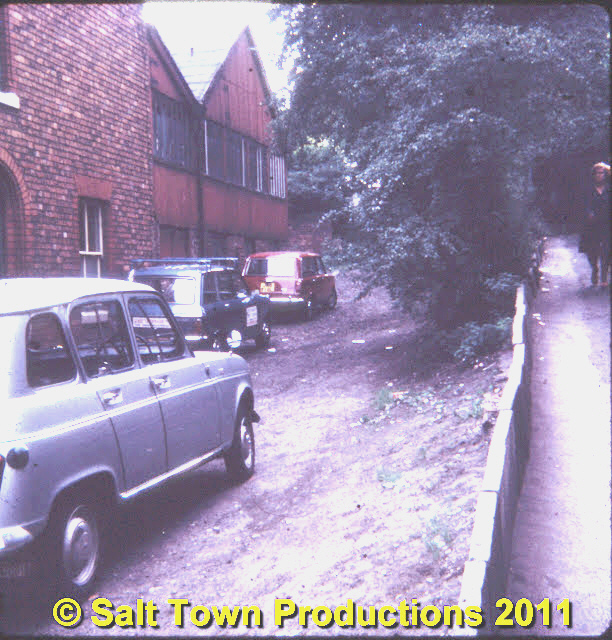 The ALLY was probably never given a name as it was NOT an Ally, it was the entrance to the farm that was at the rear of the British legion Club, plus access to Derbyshires land. 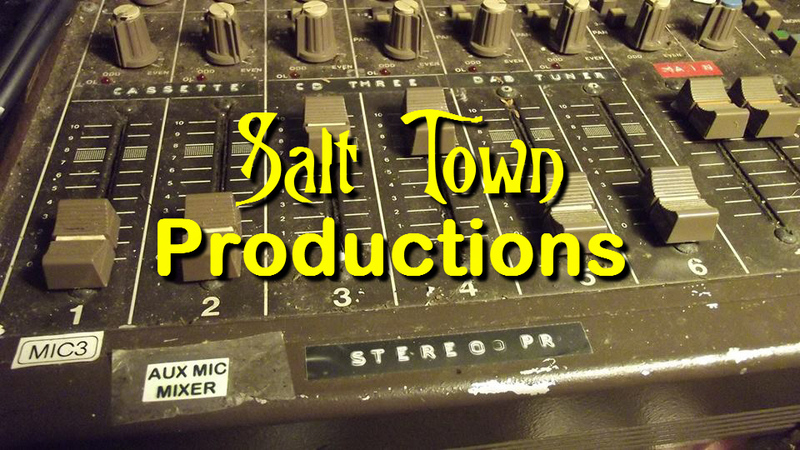 Hope this gives you some new info and stimulates thoughts for more. Local artist Wendy Johnson is selling five of her superb animal portraits, including this one of a British Blue and Cream cat. 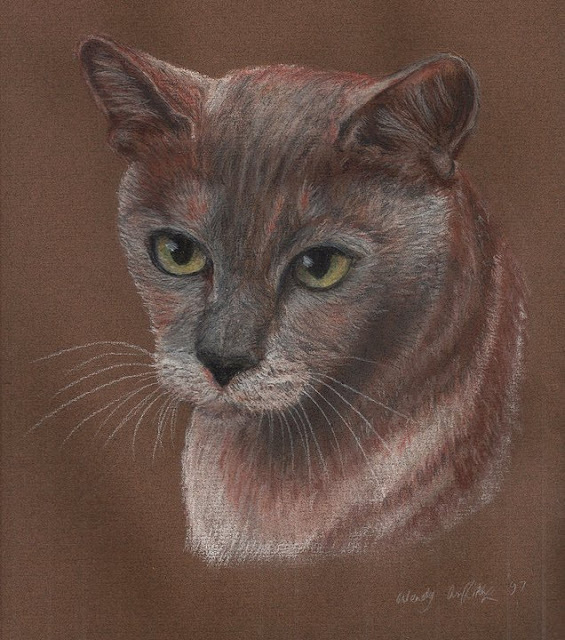 'These cat and dog portraits were drawn about fifteen years ago in chalk pastel, and have been kept framed, in a dry atmosphere and away from light for most of that time, so the colours are still as vibrant as when they were first drawn. This is your chance to own one of these original artworks. 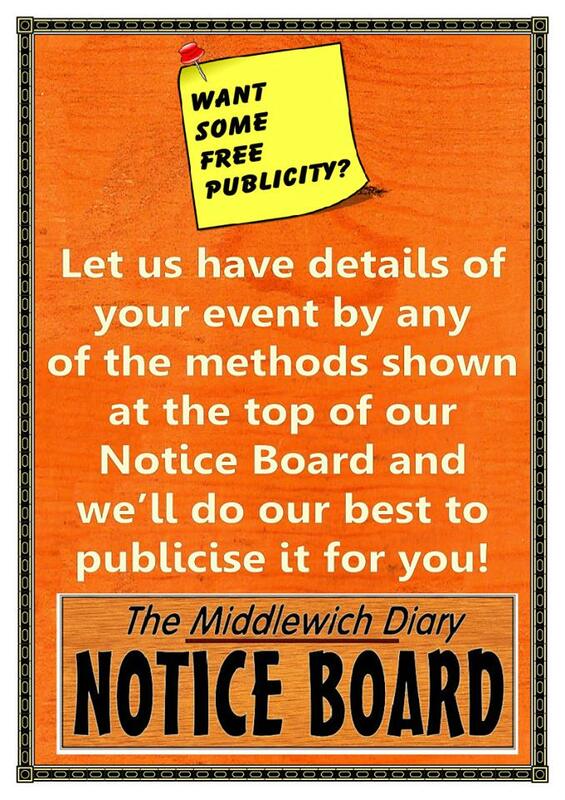 You can see more of Wendy's work on this Middlewich Diary page, and here's the link for the ebay listing. 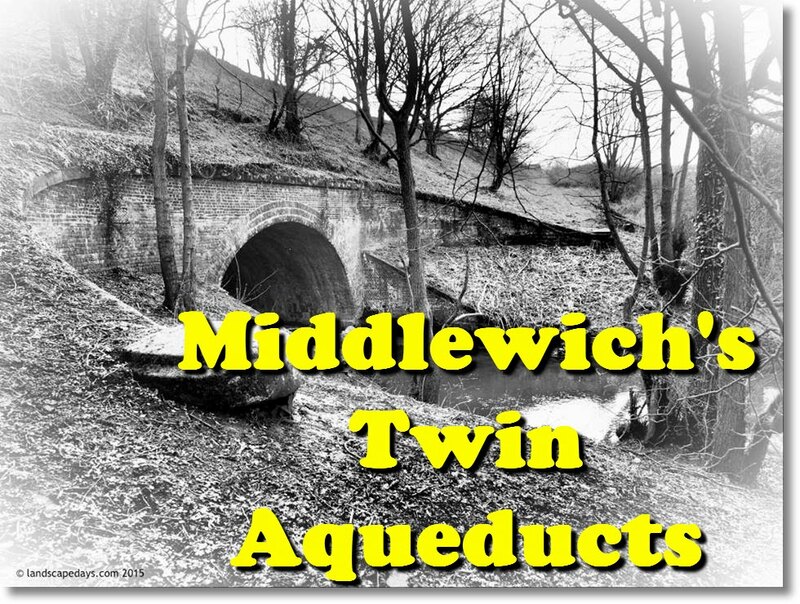 As regular readers of the Middlewich Diary will know, our main problem when dealing with old photographs lies in finding something like an accurate date for each one. It's important because only by establishing the period in which a photograph was taken can we know what we're looking at. On the other hand, the Middlewich Diary is not a historical treatise in any way, and our on-line format gives us the great luxury of being able to change and augment each Diary entry as new information comes to light. So we're hoping that someone might be able to help us with the date of this particular photo. The chemical works shown here will be recognised by many long standing Middlewich residents (although the buildings and industrial equipment on the site changed considerably over the years). It was originally opened by Murgatroyd's, at the time known as the Murgatroyd's Ammonia-Soda and Salt Syndicate but later, in 1949, to become Murgatroyd's Salt & Chemical Company, just ahead of the opening of their new works at Elworth. 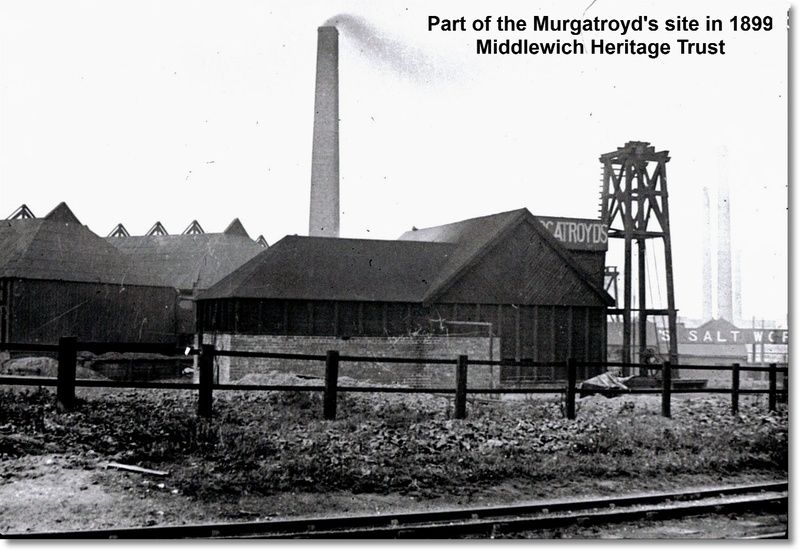 Murgatroyd's were owners of the adjacent salt works (out of shot to the left and between this works and the railway line). The works suffered from the start from severe competition from Brunner Mond, who eventually took it over. Does anyone know the year of that takeover? 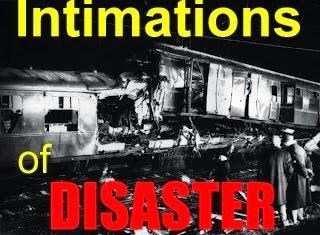 By the time of its closure in 1962, the works was run by ICI but, throughout its life was always generally known as the Mid-Cheshire Works or Mid-Cheshire Alkali Works. We think it likely that the above photograph was taken during the works' time as Brunner Mond, in the early twentieth century, but it's just possible that it might still have been under Murgatroyd's ownership at the time. If you've seen this photograph before and can enlighten us, we'd be delighted, as always, to hear from you. One clue may be that on page 127 of Allan Earl's Middlewich 1900-1950 (Cheshire Country Publishing 1994) there is a picture of this works taken from a different angle - possibly from what is now the Booth Lane children's playground between the ends of St Ann's and Kitfield Avenues - and the buildings and equipment look to be very much the same as in our photo. The picture is described in the book as being of Brunner Mond Works. Without going into all the complicated technicalities, Murgatroyd's processes differed from those used by Brunner Mond and it follows that the equipment used would also be different so it's possible that someone with real knowledge of such equipment might be able to tell the difference. On the extreme right (of our photo), minding its own business, is the Kings Lock pub, and centre left is the start of that arm of the Trent & Mersey Canal which, in the present day, serves one of the local boatyards. The part of the chemical works site shown here is now home to Pochin Ltd and the land to the south covered by railway sidings in Chemical Works days was the home to ERF Service between 1971 and 2000. Wardle Lock Cottage is, as its name suggests, situated at Wardle Lock at the very end of the Middlewich Branch of the Shropshire Union Canal. 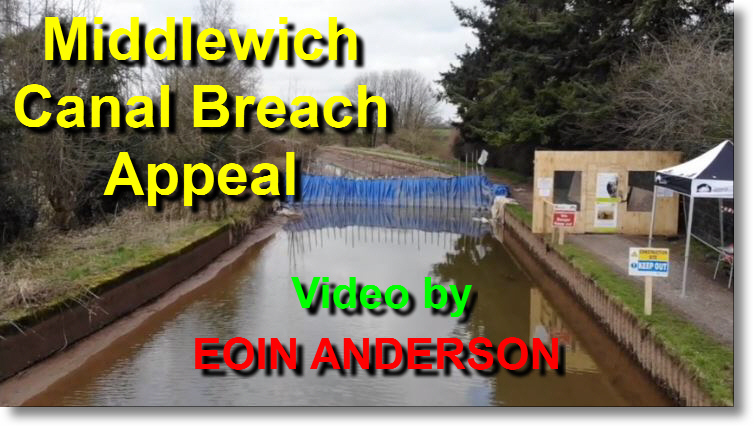 In fact there are those who would argue that the lock, and the cottage, are not on the Shropshire Union at all, but on the Wardle Canal (also sometimes called the Wardle Lock Branch or the Wardle Green Section) which is often touted as 'the shortest canal in Britain'. The whole length, including the lock, is around 50 yards. 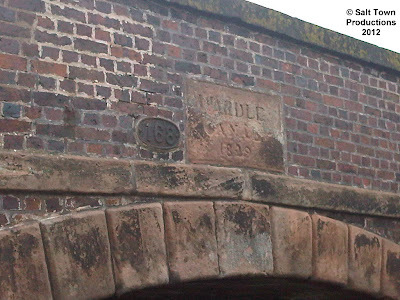 A stone set into the bridge over the junction between this short section of canal and the Trent & Mersey gives its name and date as WARDLE CANAL 1829. The Heritage Society appears to be in no doubt, and British Waterways seem to agree, if this plaque attached to the other side of the junction bridge is anything to go by. 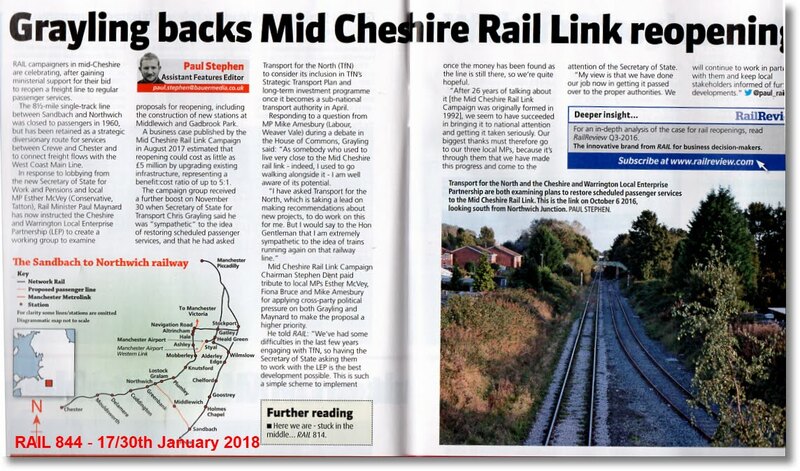 What is certain is that before it was built much transhipment of goods had to take place between the Trent & Mersey and the Middlewich Branch. 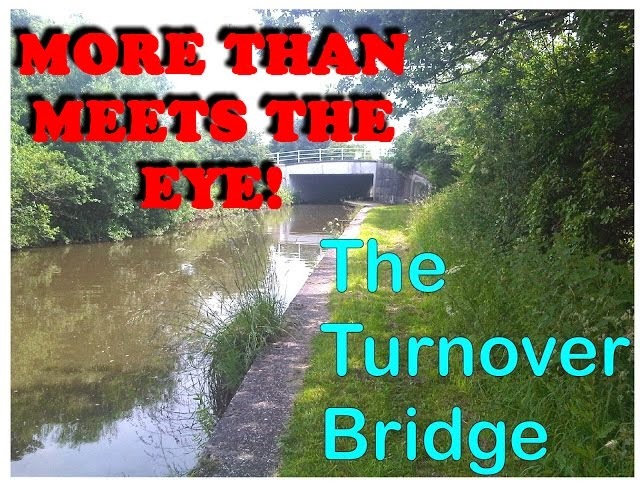 The Wardle Canal brought about a big improvement, but was not the perfect solution, due to the high tolls levied on cargoes travelling over it. The cottage at Wardle Lock is a Grade II listed building, and is one of the treasures of the waterways. A scale model of it was a great attraction at a National Waterways Exhibition some years ago, and we know of at least one other small-scale representation of the building, on a model railway in Sandbach. Part of the attraction until a year or so ago was the much-missed presence of 'Auntie' Maureen Shaw who lived there for many years after 'coming ashore' following a lifetime of working on the boats. 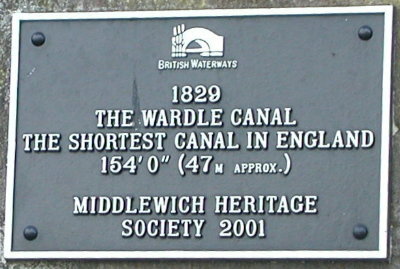 Her late husband Jack was a lengthsman on the canals. Maureen knew all there was to know about the waterways, and gave talks on the subject to local organisations. 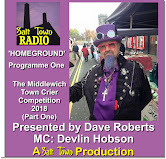 She tells her own story in the Tales of Wych & Water CD produced by Salt Town Productions for Middlewich Vision in 2009. 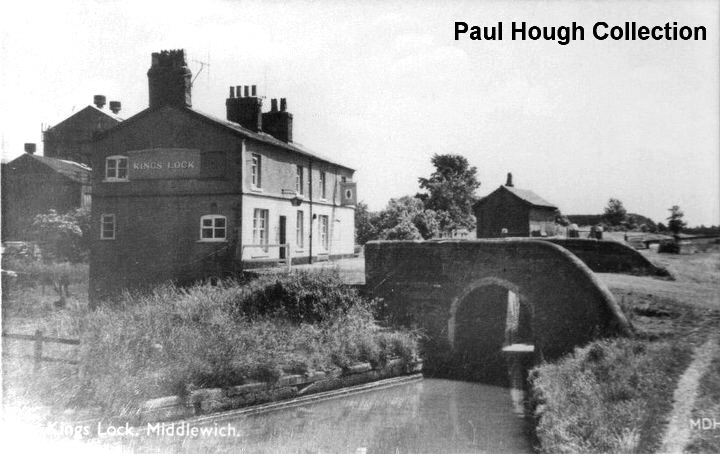 During her time at Wardle Lock Cottage Maureeen made countless friends among the pleasure boaters who travel through Middlewich every year, and was always ready to give advice (and the occasional 'rollicking') to the novice holiday helmsmen and women who passed through 'her' lock. Maureen was taken ill in 2011 and had to leave the cottage. She lived in sheltered accomodation for a while but, sadly, passed away on March 17th, 2012. 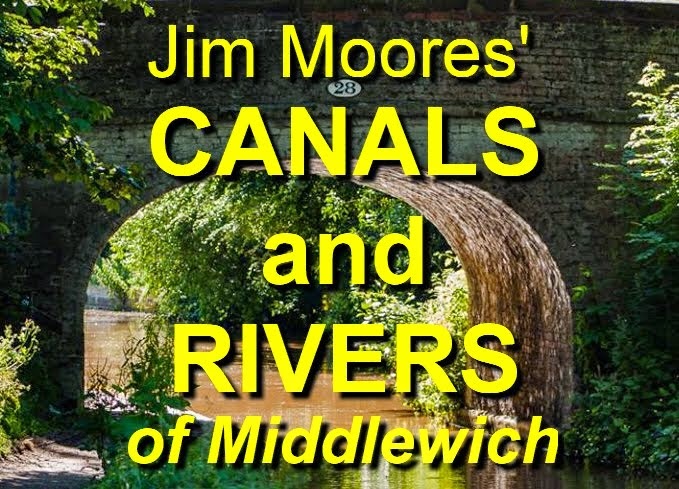 Maureen's knowledge of, and enthusiasm for, the canals of Middlewich and the world of canals and canal boats in general was unsurpassed, and she will be greatly missed by everyone in Middlewich and also by all her friends on the waterways. 'As someone who has both lived and worked on waterways for over 25 years, I had the pleasure of meeting Maureen a number of times, but I really got to know her as the ex MFAB boating director. 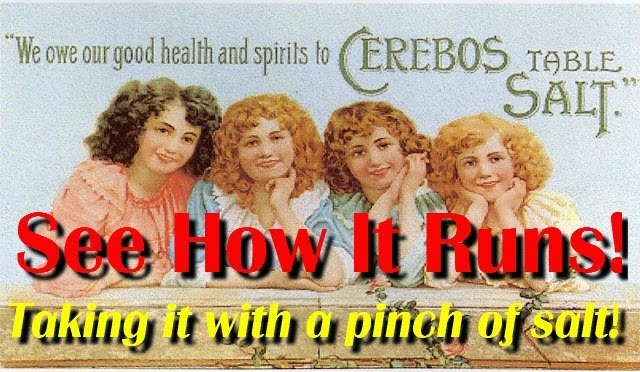 Robert Sheckleston remembers Maureen from the time she worked away from the canals at RHM Foods. 'She was a lovely lady,' he recalls. 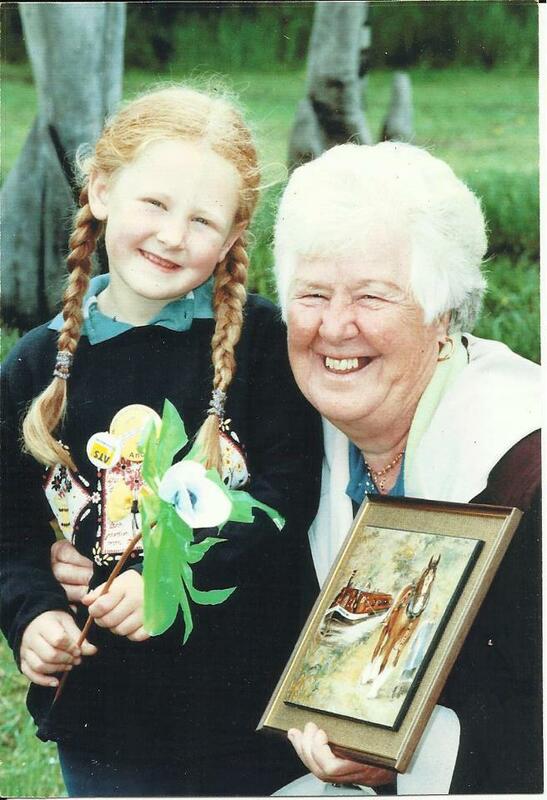 Ian writes: The picture shows Auntie Maureen and my daughter Charlee at a fund raiser for Anderton Lift about 12 years ago. Charlee lived with us on the boats for many years. There was much excitement amongst old boaters when her birth was announced and many visited and put silver (coloured) coins in her hands. Wardle Lock Cottage remained empty for a year and then, on Wednesday 15th February 2013, was sold at auction at the Boar's Head Hotel by Frank Marshall of Knutsford. Geraldine Williams Always a good stopping point for my family on Sunday afternoon walks along the canal. I remember Maureen having an unusual flat-backed goldfish bowl fastened to the outside wall with two hemispheres and a connecting tube for the goldfish to swim from one to the other. 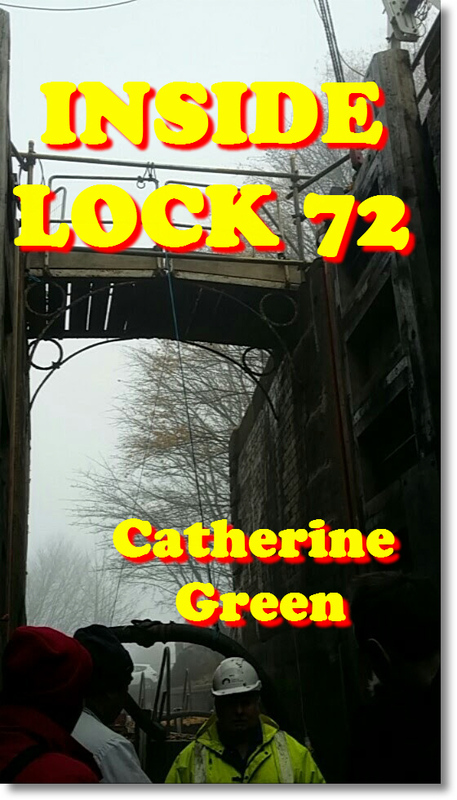 I also remember how concerned she was by the lack of safety procedures shown by some of the new breed of boaters using the lock and their seeming unawareness of the dangerous undercurrents when the locks were being operated. 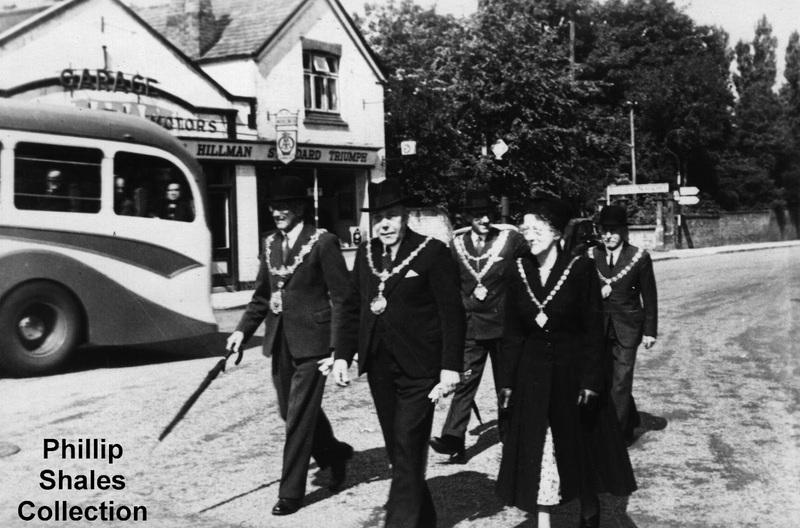 Looking very much like they mean business, and don't expect any nonsense from anyone, this group of Council Chairmen (and one lady) stride purposefully along Chester Road on Chairman's Sunday 1948. We get the distinct impression that these are all visiting civic dignitaries. It was (and is) the custom of neighbouring Council Chairmen/Mayors to visit each other's civic services, carnivals and other town events. Can anyone identify any of these worthies and tell us which towns they represent? Note the stylish motor-coach, the rear end of which can be seen on the left in front of Middlewich Motors, and the alternative Chester Road entrance to Boosey's Nurseries in the background, above the right hand Chairman's head. Chester Road then, and for quite a few years afterwards, had an almost semi-rural air about it which has now largely gone..
At the time of writing Boosey's Garden Centre and Middlewich Autos provide a tenuous link with the area's past but even this will disappear very soon as progress, in the shape of a Morrison's supermarket, severs that link during 2012. 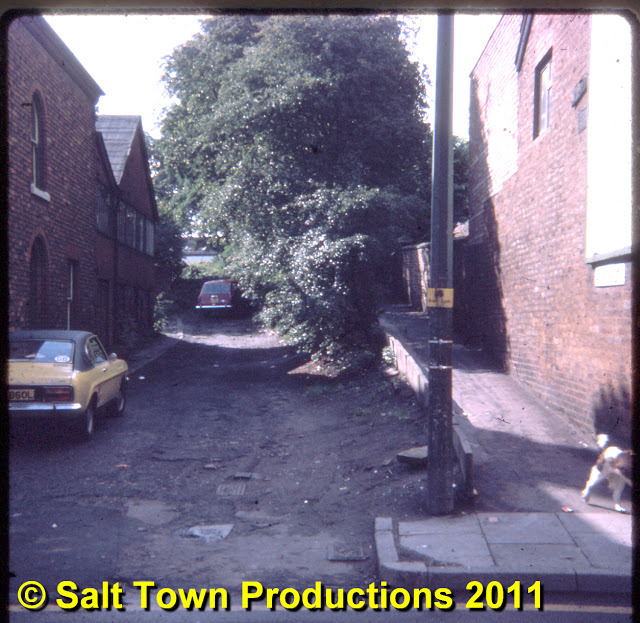 As a follow up to this entry here are a two more slides from 1968 showing a couple of the leading lights in the Middlewich Archaeological Society at that time. In the top picture we see local schoolteacher Ken Laundon who, at first glance, appears to be scanning the horizon. In fact he is probably doing nothing more interesting than adjusting his glasses, or scratching his nose. There would be no point in his scanning the horizon from this location, anyway, as all he would be able to see would be his own house which, as we've already mentioned in our earlier entry, was just on the other side of King Street and a matter of yards away. The second picture shows the then Surveyor of the Middlewich Urban District Council, Donald Stubbs, apparently explaining some obscure point about Roman history to a couple of youngsters. The houses to the right of Donald are at the very end of Kings Crescent; the one between him and the combined lamp-post/electricity pole belonging to the Cheshire Constabulary. 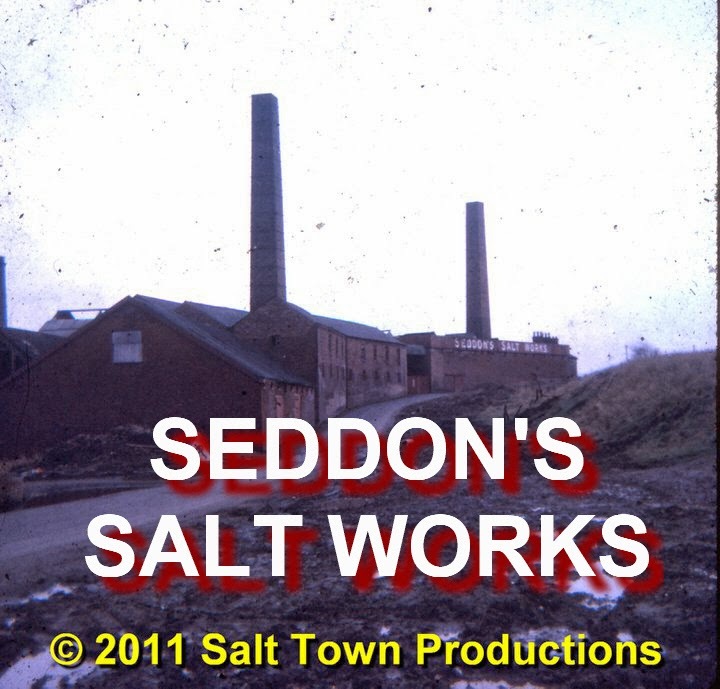 A happy group of workers at Murgatroyds Salt Works in Brooks Lane. They are: Jack Clarke, Tom Gallimore, Bob Peach and Bill Challinor and they're all taking a well-earned rest from their labours and sitting on whatever is available to sit on, which includes blocks of salt. This photograph has all the hallmarks of being taken by a professional photographer and could well have been taken during the last shift at the works before it closed. 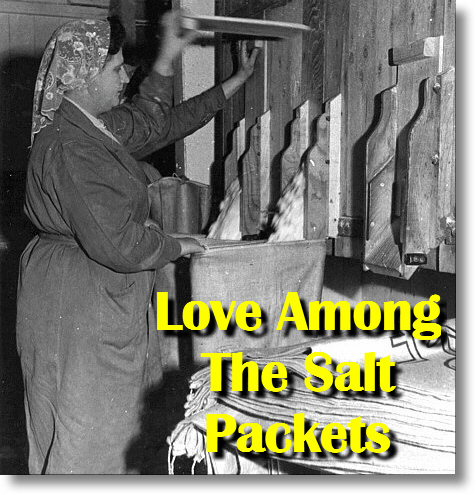 The last salt lump at Murgatroyd's was produced in December 1966. The Manchester Evening News came to take photographs of the last shift. The open pans were in operation for 76 years almost to the day, as the first salt lump was produced as the New Year of 1890 was seen in. So this might well be a photo of the last 'baggin' time' at Murgatroyd's. Note the footwear. Clogs were the traditional footwear of salt workers, as they were able to stand the harsh corrosive conditions in the open pan works much better than traditional boots. By this time a form of combination clog/boot seems to have been the style, but the cloth bindings secured with string which kept the abrasive salt out of the worker's trouser-legs can still be seen. Geraldine Williams 'Baggin' - now there's an expression I haven't heard for a long time. It seemed to disappear along with 'snap' and 'bait' presumable the Northumbrian pronunciation of 'bite') when the boring 'packed lunch' took over. Geraldine Williams But what would you have called food brought from home? 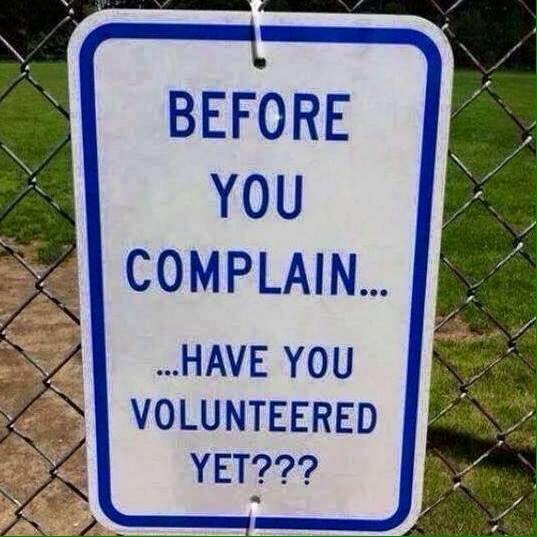 Bet you had a staff canteen! Geraldine Williams The old ones are the best!